Hi everyone, it’s Andrea from The Cottage Market! First may I wish you all a FABULOUS 4th of July!!! 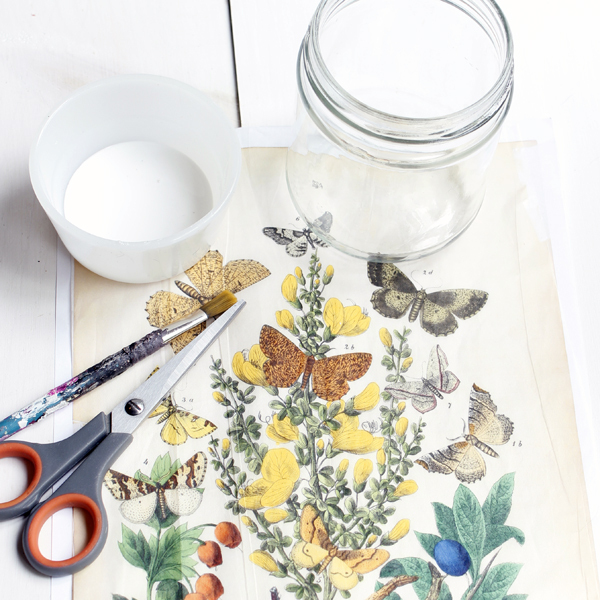 I have a little quick and easy DIY for you that I know you are going to enjoy. 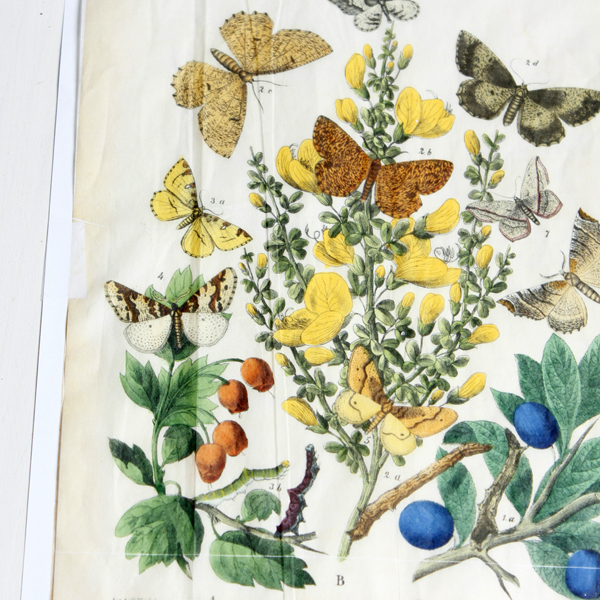 You can choose from all the graphics here in Graphics Fairy land to work with…I chose this pretty vintage butterfly sheet. 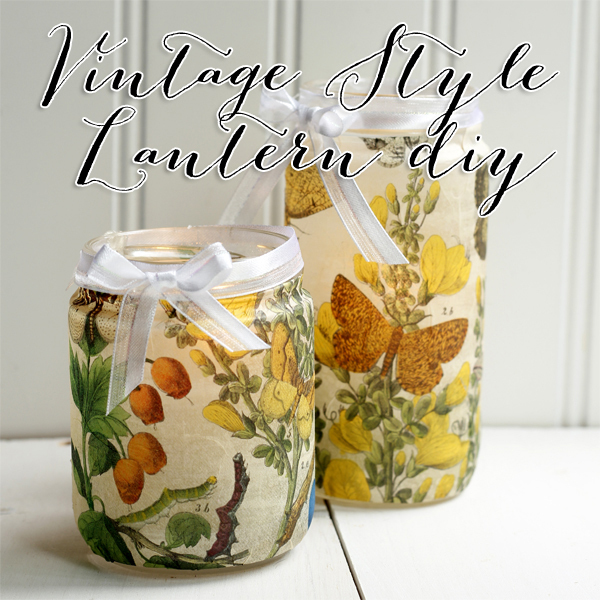 A Vintage Style Lantern DIY is on our creative menu today! You won’t believe how simple it is and you can apply it to so many different things. 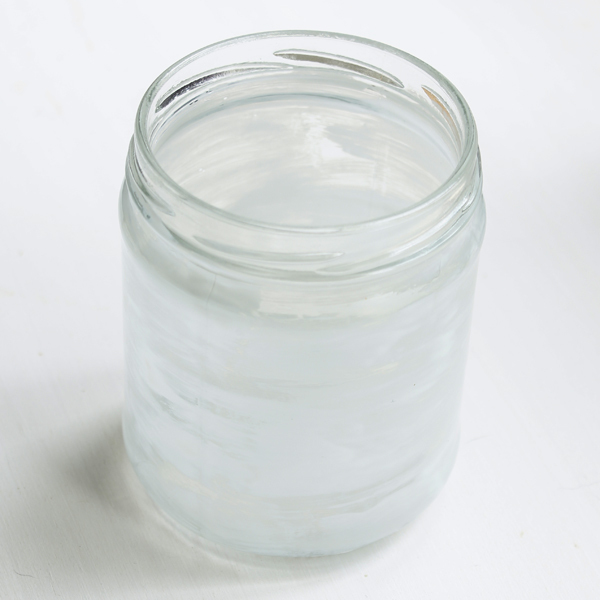 I used just plain simple regular jars but you could use votive candles… vases…etc…the sky is the limit! Come and see how easy this is! 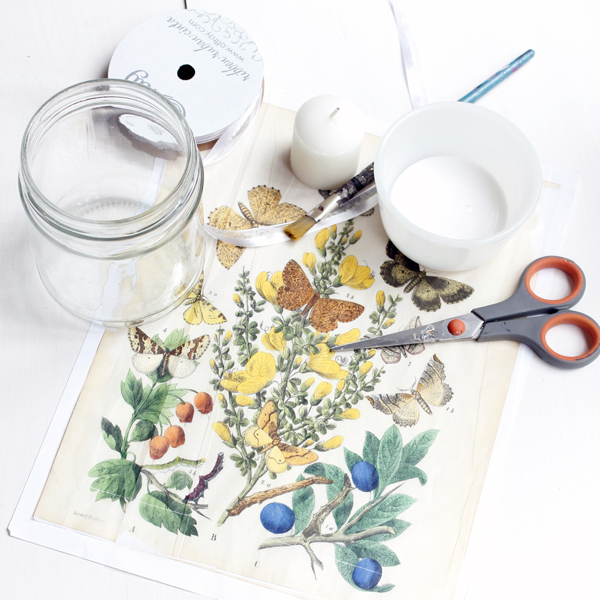 You will need: A Jar (whatever size you choose)… a scissor… ribbon… Mod Podge or White Crafting Glue… a brush… a candle …tissue paper and your image. That’s it! The first step is to choose your image. Then you have to prepare your page to be printed. 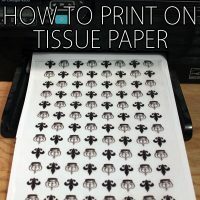 Take a regular 8 1/2 X 11 piece of paper and then take your tissue paper and cut it a little bit smaller…then lay it on top of the paper and start to tape it taught. You don’t want any bumps or loose ends…if you tape it nicely all the way around it will feed through your computer with no problem…just make sure there are no corners bent…etc. Then place the prepared sheet face down into your feed and print! 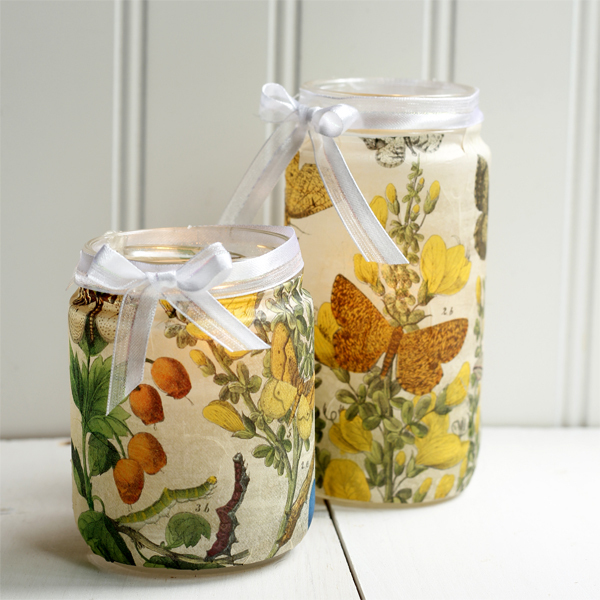 Viola…your image is now on tissue paper and it will be transparent so it can allow the candle to glow through! 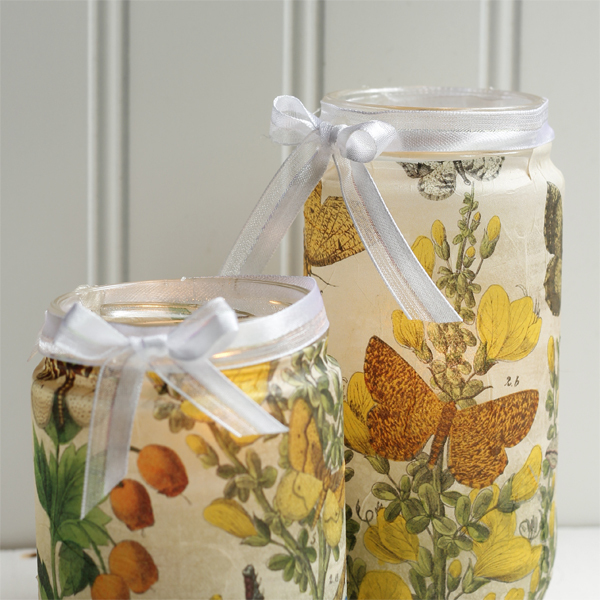 No carefully apply the tissue paper to the jar…gently putting some pressure on the jar and smoothing the paper out. Do not overwork it because it will rip. 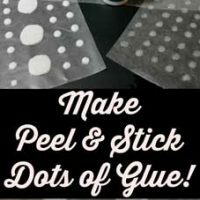 Allow it to dry 3/4’s of the way and then you can fix any little bubbles easily. Time to add your candle and watch it glow! Sure hope you have tons of fun with this one! You can make all kinds of sizes and you will be recycling too…BONUS! 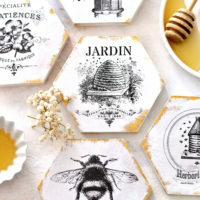 Have fun picking out your images and using them…they will look fabulous wherever you put them including picnic tables at your next outdoor party! See you again soon and if you would like to say hello…you can always find me over at The Cottage Market. If you are looking for the perfect dessert for your family or the next time you have company…please try my Grandmother’s Zeppole. 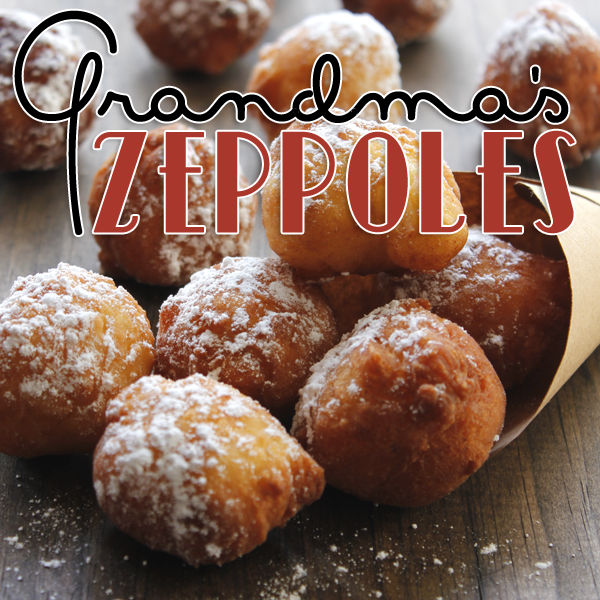 They are the real deal and are quick..easy and over the top delicious! You need these in your life…really! 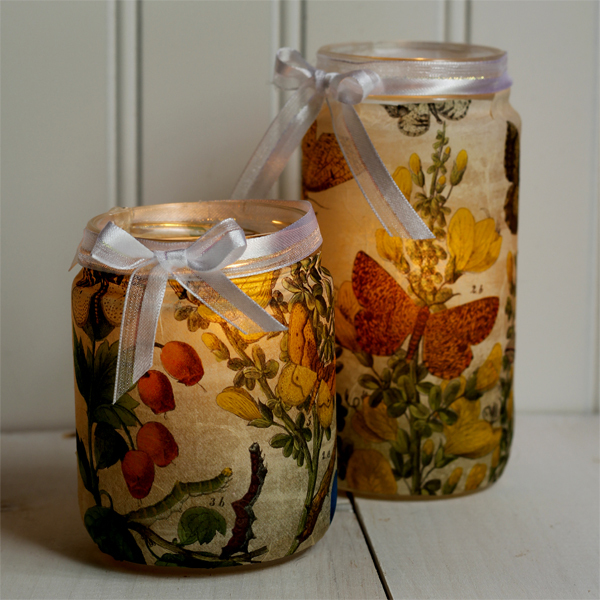 These are just lovely and seem to be very easy to make. Thanks for the idea.